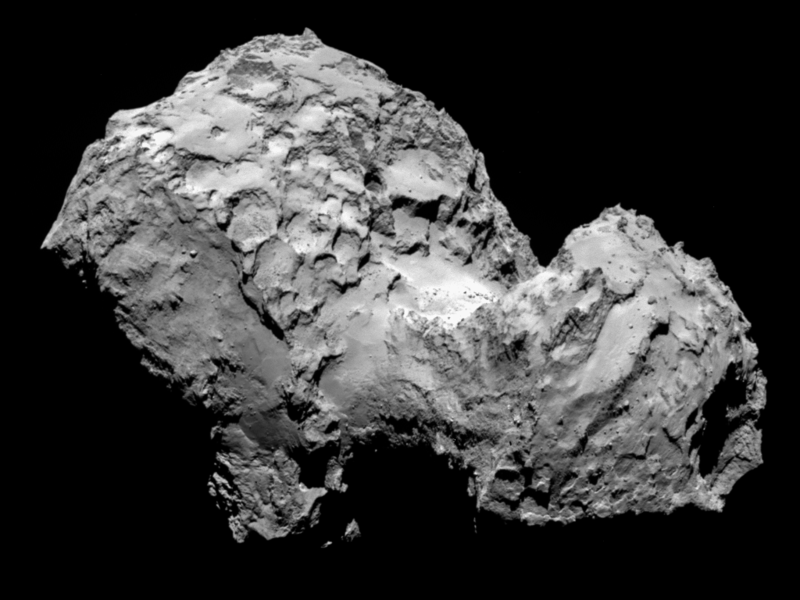 An image of 67P/Churyumov-Gerasimenko shows the diversity of surface structures on and around the comet’s nucleus. The research notes the differences observed before and after the comet’s most active period, or perihelion, as it reached its closest point to the sun along its orbit. The changes, both unique transient phenomena and others taking place over longer periods, are linked to different geological processes: in situ weathering and erosion, sublimation of water ice, and mechanical stresses arising from the comet’s spin. “Monitoring the comet continuously as it traversed the inner solar system gave us an unprecedented insight not only into how comets change when they travel close to the sun, but also how fast these changes take place,” said Ramy El-Maarry, lead author of the study and a research scientist at LASP. “As comets approach perihelion, they go into “overdrive” and exhibit spectacular changes on their surfaces,” he added. El-Maarry presented the new results at the 48th Lunar and Planetary Science Conference (LPSC) in Houston, Texas. Weathering processes occur all over the comet, where consolidated materials are weakened—such as by daily or seasonal heating and cooling cycles—causing their fragmentation. Combined with heating of subsurface ices that lead to outflows of gas, this can ultimately result in the sudden collapse of cliff walls, the evidence of which is apparent in several locations on the comet. Erosion caused by the sublimation of material—where it transitions directly from a solid to a gas—and deposition of dust falling from outbursts, are also thought to be responsible for sculpting the landscape in different ways, either uncovering previously hidden surfaces or depositing material elsewhere. The research also reveals that although many small-scale localized changes occurred, there were no major events during the mission that significantly altered the comet’s overall appearance. Ground-based observations over the last few decades suggest similar levels of activity during each perihelion, so it is likely that the major landforms seen during Rosetta’s mission were sculpted during a different orbital configuration. “One possibility could be that earlier perihelion passages were much more active, perhaps when the comet had a larger inventory of more volatile materials in the past,” speculated El-Maarry. One of the key goals of the Rosetta mission was to document these types of geological changes over time. The mission gave scientists the first opportunity to look at a comet in such detailed resolution, which enabled the identification of features as small as a couple of feet across. The team was able to continuously monitor the comet for more than two years in order to better understand when and how quickly these types of changes take place. Comets are of special interest to planetary scientists due to their highly elliptical orbits and their large inventory of ices, created during the formation of our solar system. Understanding how comets change and evolve gives scientists important insights into the types and abundance of ices in them and how long they can stay in the inner solar system before losing all of their ice. In addition to water ice, comets contain a variety of organic materials, including amino acids, which may have been introduced to an ancient Earth during impact events, potentially delivering life-forming ingredients. Arriving at comet 67P in August 2014, Rosetta was the first spacecraft to orbit a comet nucleus and accompany a comet as it proceeded toward the inner solar system. Three months after its arrival at comet 67P, Rosetta released its Philae lander, which performed the first controlled touchdown on a comet nucleus. Over the course of two days, the lander’s 10 science instruments obtained the first images from a comet’s surface and made the first in situ analysis of its composition prior to losing power and communication. NASA’s Jet Propulsion Laboratory, a division of the California Institute of Technology in Pasadena, California, manages the U.S. contribution of the Rosetta mission for NASA’s Science Mission Directorate in Washington, D.C. The research was published in the journal Science: Surface changes on comet 67P/Churyumov-Gerasimenko suggest a more active past. M. R. El-Maarry et al. (2017), Surface changes on comet 67P/Churyumov-Gerasimenko suggest a more active past, Science, doi: 10.1126/science.aak9384.